Even at their most monumental, Louise Bourgeois’ spider sculptures somehow feel nimble. At their largest, they tower to heights of thirty feet, and, cast in bronze, must boast a remarkable weight. Yet somehow, as they perch on toe-point, these spiders feel as if moments away from scurrying up the walls or, in the case of her outdoor works, the sides of a nearby skyscraper. They are monstrosities of lightness, imposition at its most ephemeral. Louise Bourgeois is revered as the witchy godmother of contemporary art: while her spiders are her most famous and easiest to recognize, Bourgeois’ work spanned nearly seventy years and consistently–but quietly–tackled themes of motherhood and feminism, family history, sexuality and the subconscious. She explored printmaking and painting in tandem with sculpture, and together these works forms an immense, shapeshifting oeuvre that hums with deeper meaning. She died in 2010 at the age of 98. To write a traditional biography on Bourgeois would be a Herculean task, so what better way to wrestle with such a feat than to do so in her own gossamer style? 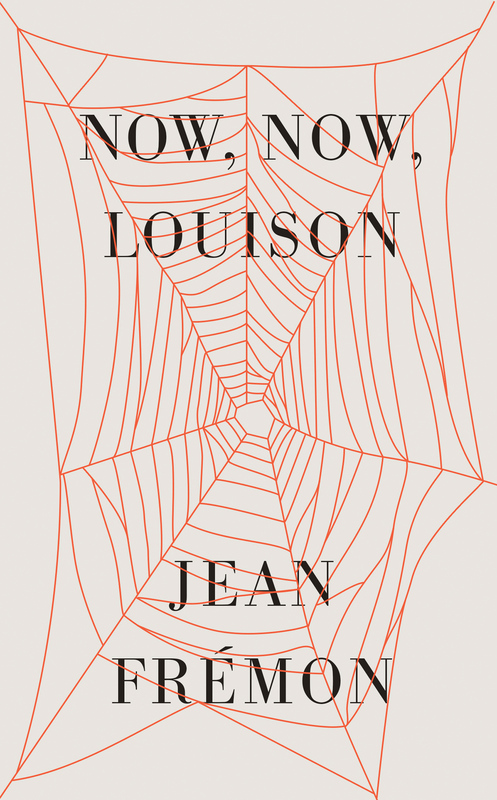 Jean Frémon, Bourgeois’ longtime collaborator and confidant, has penned a hazy 100-page portrait of the artist in Now, Now, Louison. While Bourgeois may not be entirely, vividly recognizable throughout the work, Frémon’s text feels steeped in her essence. It is a delicate work full of generations of history and lore, at once weighty, accessible, and curious to behold. 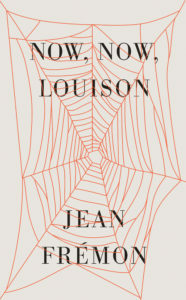 Now, Now, Louison is fictionalized and circles around the artist’s later years while living alone in New York. She appears to sustain solely on her art and her memories, and Frémon cascades through short vignettes of both. Critical digressions about art theory and the artist’s influences flow into stories of Bourgeois’ family and past. Together they form a fragmented but illuminating portrait of the artist. If it were a painting, it wouldn’t feel right to call Now, Now, Louison a “figurative” work — it’s more of an abstract expressionist biography, a suggestion of forms. Bourgeois’ fans will be eager to connect this gorgeous passage to sculptures like “Maman” and trace it through the nostalgic sense of girlhood that can be spun through much of the artist’s work. But, to those lacking the Bourgeois catalogue raisonné, a passage like this can expand into something dizzyingly self-reflective, about stories and creativity and why we tell stories or share visions at all. “I make, unmake, I remake,” Bourgeois explains in Now, Now, Louison. “I make fullness surge; I organize voids.” Frémon, too, follows these methods in his portrait. Although his text is riddled with biographical lacunae, somehow the absence of a concrete history forms something that feels bigger and more powerful than a traditional profile. By attempting to match Bourgeois’ spirit and the delicacy with which she made her art, Frémon’s nimble biographical novella honors its subject without eclipsing her monumental presence.